I took my 16 year old daughter to Colombia in early April to explore the walled city of Cartagena (see Colombia with an “O”). Of everyone in the family, she is the most adventurous eater, so we were excited to dig into the culinary side of this stunning colonial port city. Our taste buds at the ready, we were welcomed with a plethora of up to the minute fresh seafood, delicious street cart vendors selling arepas, empanadas, and dulces, award winning chefs (more affordable due to the strong dollar), and an array of so many Caribbean fruits I can’t even remember what they are all called. Here are some of the places you must target on your visit to this magical caribbean town (for more on things to do see Adventures in Cartagena). Ceviche – On our first afternoon in Cartagena, in 90 degree heat and our winter clothes from NYC, while we waited for our room to be ready, we stumbled upon a well air-conditioned and beautiful place called Sinko Bar (5). The food was delicious and plentiful – even if we were the only ones in the place. They told us it gets very crowded in the evening. We also sampled La Cevicheria (made famous by Anthony Bourdain) and just around the corner (and slightly less crowded) El Boliche Cebicheria. Neither takes reservations and both are fantastic! It was Tori’s ceviche debut and she was not disappointed. 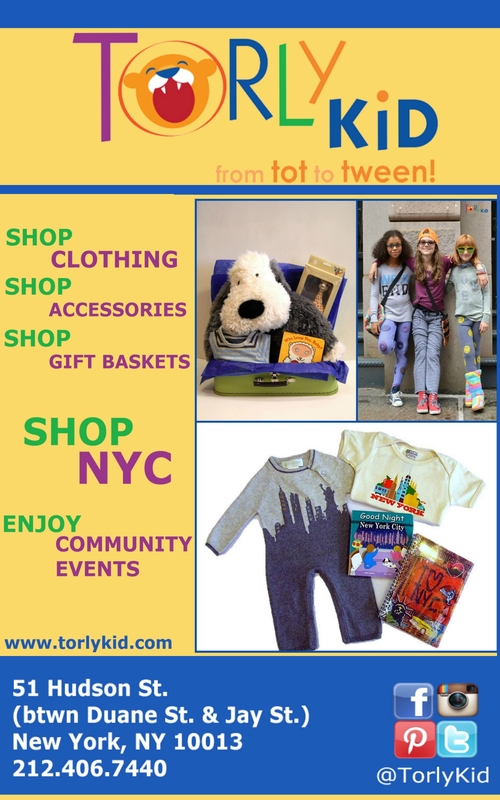 Any Carmen restaurant in Colombia – I had the good fortune of meeting Carmen Angel and Rob Pevitts last fall while they were shopping in my Tribeca kids boutique Torly Kid. We had a great conversation about Colombia during a time when I was just forming the beginnings of my trip so of course their restaurants were on our list. After researching their conglomerate of restaurants in Colombia, my 16 year old and I decided Moshi was a good fit for us. Asian cuisine with Caribbean inspiration, we had marinated sea bass in brown butter ponzu that melts in your mouth. We had braised short ribs in spicy coconut and miso curry that was eaten so fast we didn’t even get a photo. And we had a Salmon tataki with an interesting mix of mandarin orange and kabazuyaki sauce. I am so grateful my teen has a sophisticated palette! Traditional Caribbean beach lunch – no trip to Cartagena is complete without at least one traditional Caribbean lunch of pescado frito, arroz con coco y patacones (fried fish, coconut rice and fried plantains) especially good served right on the beach. Top it off with Kola Roman and you will be living life like a bonafide local. Fresh squeezed orange juice from the sidewalk vendors. You think you’ve had good orange juice? You haven’t, until you’ve tried the one made by this vendor (guy in white hat)! Best OJ vendor in the city – can be found at the Torre de Reloj in the afternoon. Limonada de coco – Colombians call limes lemons (limón) because they don’t grow lemons in Colombia. Limonada de coco is basically a coconut limeade smoothie which can be found in many bars and restaurants, and it’s absolutely delicious. Fresh cut fruit from Las Palenqueras – Nothing beats the heat of Cartagena like a cup of fresh cut fruit from one of the many Palenqueras (women in colorful traditional dress) wandering the city. Watermelon, papaya, mango, kiwi, star fruit, banana, all sorts of tropical fruits served in take-away cups and easy to eat. Ice Pops from La Paletteria – well maybe one more thing beats the heat of Cartagena… we had two of these a day and still couldn’t get through all the flavors! Pandebono – a Colombian gluten free cheese bread, pandebono is a must during your visit. It’s available in lots of places, but we went straight to the source at La Esquina de Pandebono right near the University. Cocadas in the Portal de los Dulces – Satisfy your sweet tooth here! The Portal de los Dulces is located right across from the Clock Tower and is a street filled with confectionary stands selling locally made authentically Colombian sweets. Cocadas, like a coconut macaroon, but less refined, are flaky sweet coconut treats that come in many flavors. Tori enjoyed her new found love for coconut on this trip and brought home several different flavors.